Amazon's diligent, computerized know-it-all is the latest technology to enlist in NORAD Tracks Santa, the military-run program that fields phone calls and emails from children around the world eager to ask when Santa will arrive. Now entering its 62nd year, NORAD Tracks Santa will go live Sunday, with about 1,500 volunteers answering calls and emails at Peterson Air Force Base in Colorado Springs, Colorado. Updates will be posted on social media and at www.noradsanta.org. Col. Harry Shoup, who was in charge of the operations center, took the first child's call. Once he figured out what was happening, he played along, he said in a 1999 interview with The Associated Press. "Here I am saying, 'Ho, ho, ho, I am Santa,'" said Shoup, who died in 2009. "The crew was looking at me like I had lost it." He told his staff what was happening and told them to play along, too. Last year, NORAD Tracks Santa got nearly 154,200 phone calls and drew 10.7 million unique visitors to its website. It snared 1.8 million Facebook followers, 382,000 YouTube views and 177,000 Twitter followers. And this year, Alexa joins the party. Technology and the Santa Claus story have a long but uneasy history together, said Gerry Bowler, a Canadian historian whose books include "Santa Claus: A Biography" and "Christmas in the Crosshairs: Two Thousand Years of Denouncing and Defending the World's Most Celebrated Holiday." "Every new technology gets tried on Santa," Bowler said. In the late 1800s, for example, he was depicted chatting with children on the telephone, then a new and wondrous invention. 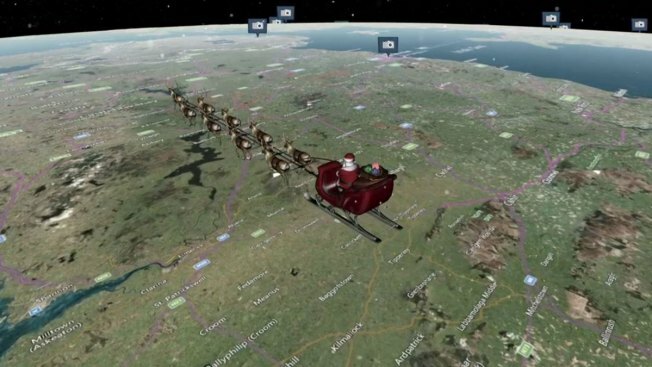 But NORAD's Santa tracker is one of the only technological upgrades the public has welcomed into the Santa story, Bowler said. "I think that it will be ultimately incompatible with most technology," Bowler said. "I'm sure of it, because he represents something timeless, and we don't want him to become dated. "We don't want him using a fax machine or carrying around one of those 5-pound cellphones," he said. 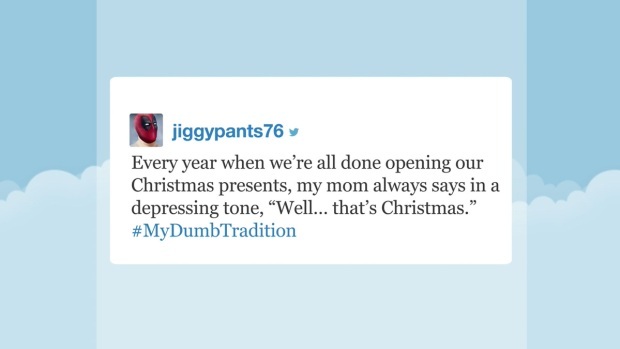 Jimmy Fallon reads his favorite tweets with the hashtag #MyDumbTradition.